What a doofus. Gives no credit to the team that whipped USF like rented mules. "If you quit at home against Tulane, who won't you quit against?" Tulane doesn't beat anyone. The other teams only lose. Well I'm glad the guy is looking forward to basketball season. Maybe USF can throw up a conference 0-fer in that sport. They were so high on themselves, despite not having won against significant competition all year. Houston was their only meaningful competition so far, and they lost that one. USF is all hype based upon a lossless start against patsy competition. As soon as they faced a decent opponent, they were outed. I was just noticing UAB is 8-1 with their only loss being the whipping they took at Coastal Carolina the week before they played us. And talk about playing a bunch of nobodies... look at their wins. I’m frankly surprised at the tone of the Tampa newspaper, not because any of it isn’t true, but because it reads like a 20-something keyboard warrior writing from Mom’s basement trying to peg the snark-o-meter. It’s nice being on this side of the cow chip tossing but dayum, that writer might never be allowed on campus again. Ever. It wouldn't surprise me if the writer was in their 20s, but a click to his profile reveals a seasoned gentleman. Harsh words from him. Did Ted Lewis move to Tampa? it amazes me that nobody in Tampa could see that USF was a house of cards.. they needed a miracle to come back to beat Tulsa (that miracle was an idiot roughing the passer penalty during USF's winning FG drive), they got crushed by Houston and Blake Barnett hasn't put together two good halves all year... for them to bad mouth us while saying they "quit" is just completely ignorant of the facts at hand. JM, we all know that when you lose to Tulane, you just can't coach. I think we've gotten more coaches fired than any other program, despite a dismal W/L record (or because of it). We ought to be introspective and ask ourselves why are we 4-5 instead of 6-3 or 5-4? That and three of the losses are to 8-1 teams. Regardless of the schedule and the "quality" of the competition, if you beat who you line up against week after week, you must have something. Yes Tulane could have won the UAB and UC games but maybe those teams just beat Tulane. Perhaps they've earned some cred here. That is what is so offensive about the Tampa article. "Tulane is a loser. 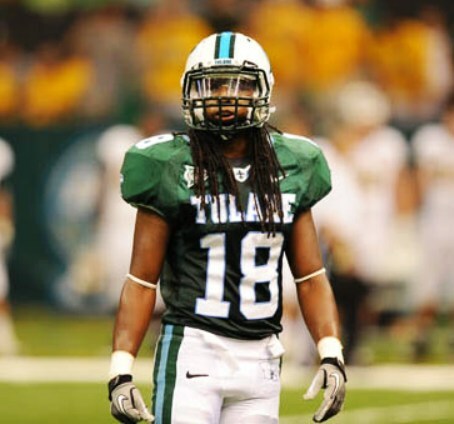 If you don't win against Tulane, you're an even bigger loser." That's the CW that makes me grind my teeth. Having watched Charlie Strong at Texas, this game was typical of CS's teams at UT in his three seasons.